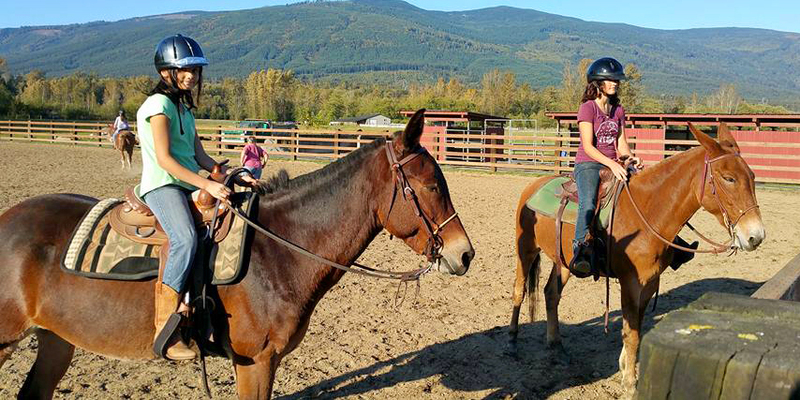 There is a lot more to riding than just kick and pull! Get the basics and control first, then feel free to follow your dreams. On the farm we call it Performance Pleasure. 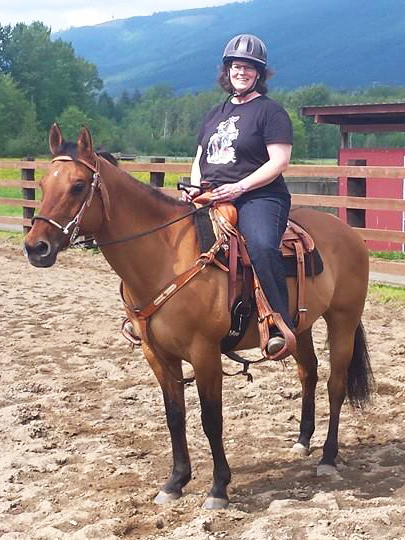 Diane aims to teach you to be a solid rider on a horse that is a pleasure to ride. 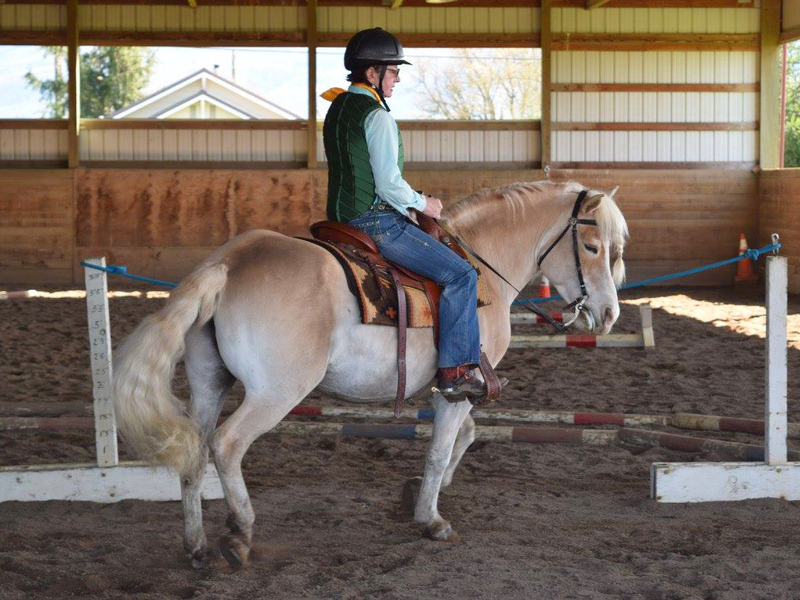 You are welcome to bring your own horse to lessons, or ride one of our knowledgeable horses for a $10 charge. 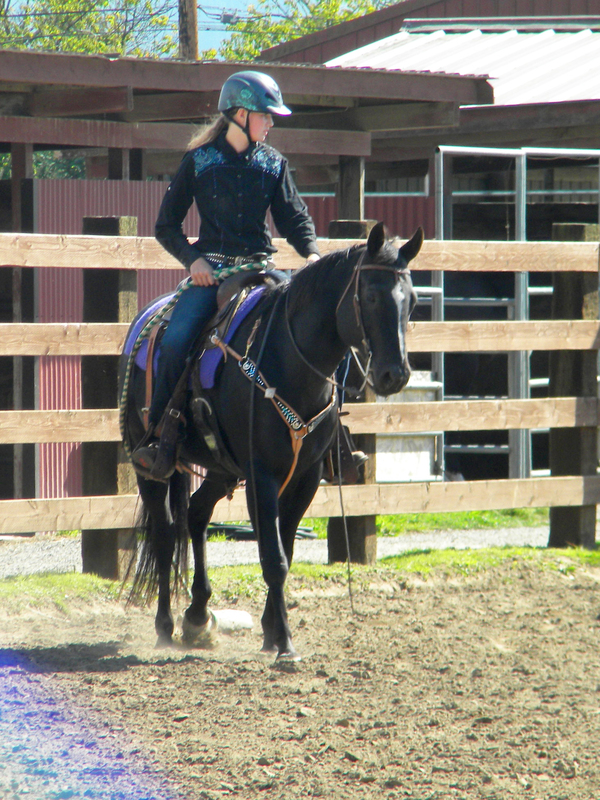 The road to a soft, supple, collected horse starts by learning to use your aids to cue your horse for body control. 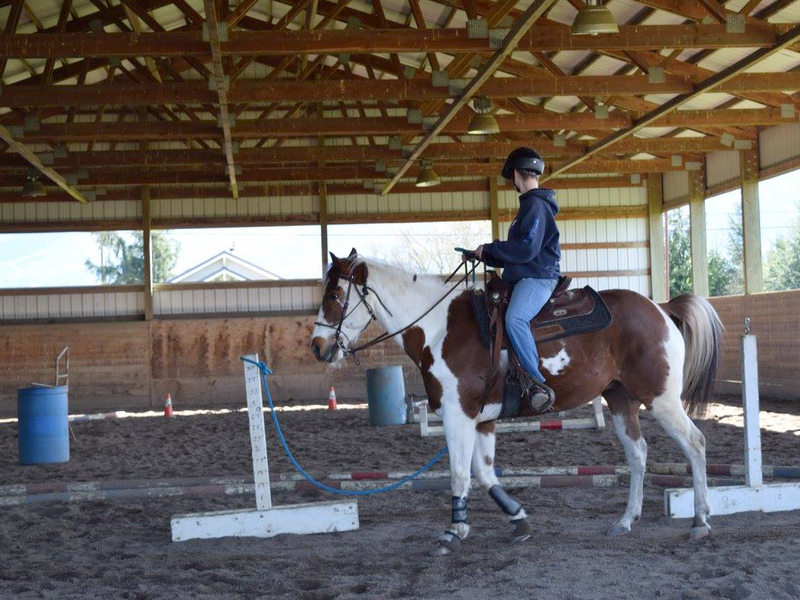 Learn how to ask your horse for turns on the forehand or hindquarters, side pass, leg yields, leads and lead changes, and lateral and vertical flexion. It’s all about Position – Position – Position! 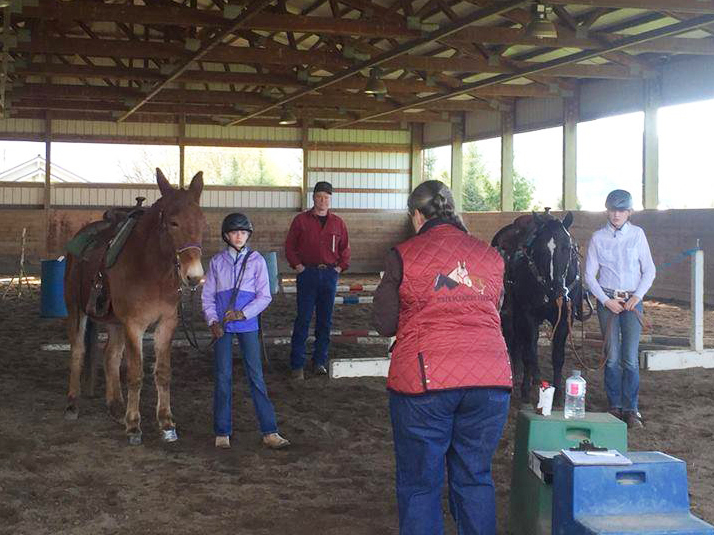 Give your horse a change and purpose. Prepare for the Challenge Trail Course at JPF with lessons. 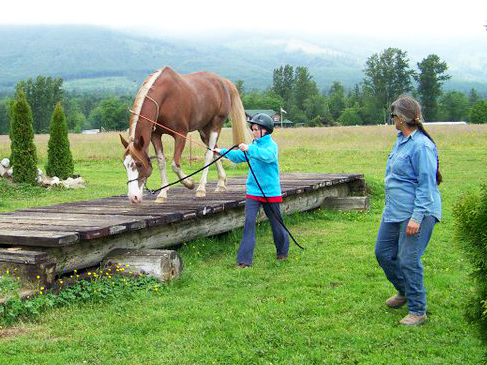 Challenge your horsemanship with bridges, narrow ditches, hills, water crossings, gates, log crossings, boulder crossings, boardwalks, and body control puzzles. 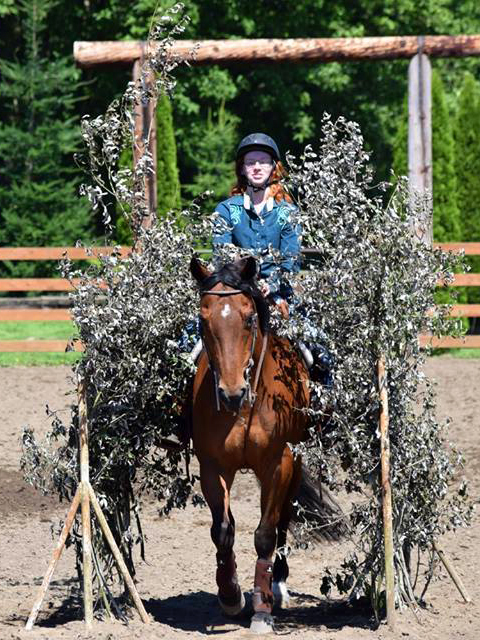 Justa Pleasure Farm’s course is challenging and fun. 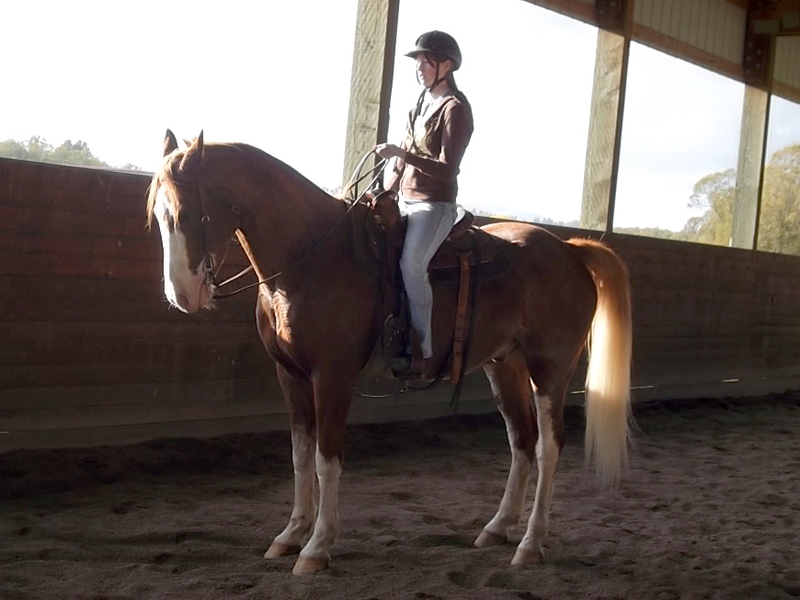 Lesson and show your horse right here. 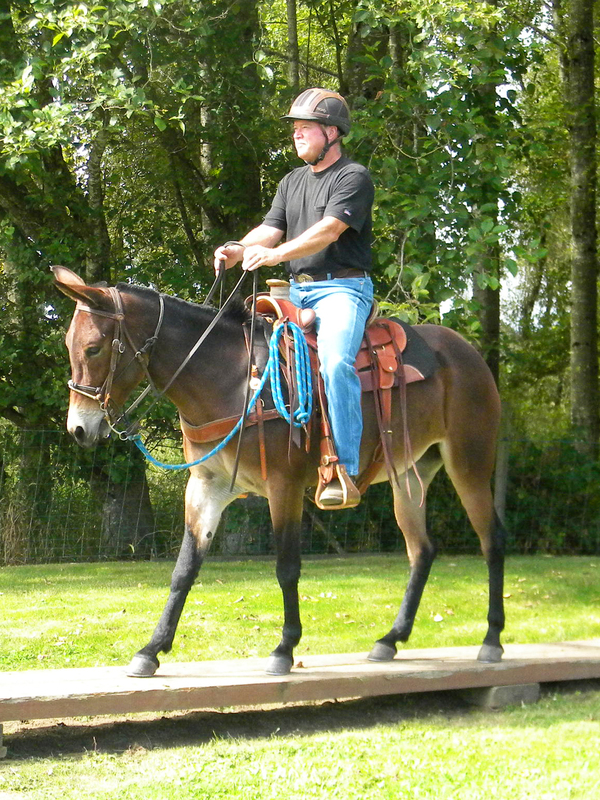 Your horse, or lease one of ours. 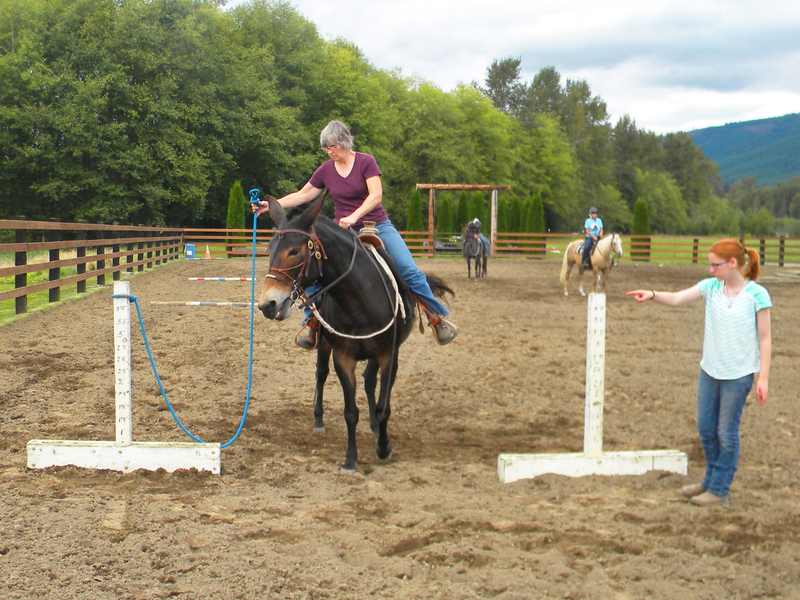 Call to arrange lessons in the Challenge Trail Course Playland. 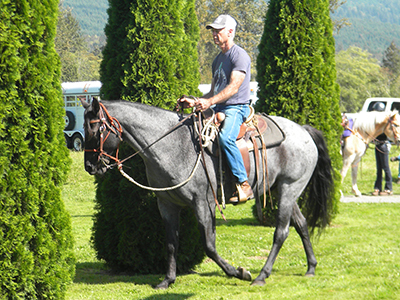 Lessons always offered on Clinton Anderson’s method of groundwork and under saddle — Fundamentals through Advanced. Click here to download the Release and Hold Harmless agreement.